Motovaje nemisham, chy kar konam???? Hi, love your blog and put you on my Liebster Award list which promotes fellow bloggers. You're in my latest blog post: http://justforfoodies.blogspot.com/2013/04/thanks-for-liebster-award-award.html. 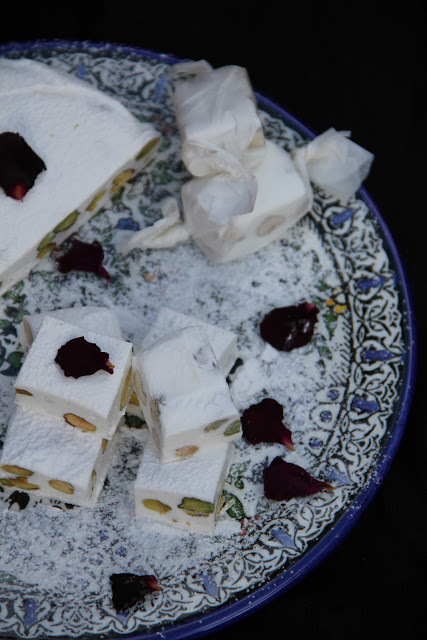 As you might know Persians generally eat sweets and desserts on special occasions so its not that dangerous. also is maple syrup ok too as a substitute? 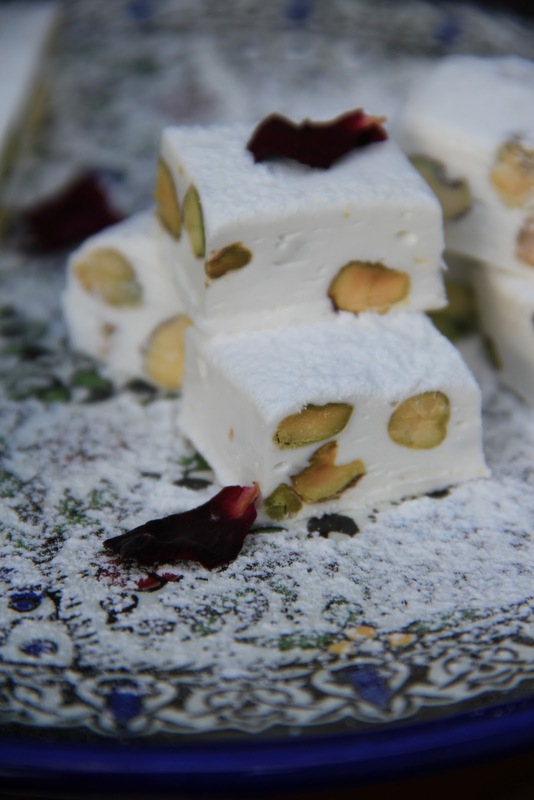 Traditionally pistachio is used in Gaz and if you don’t like using pistachio roasted almond is a good substitute. I do know that some people don’t like glucose or corn syrup because it is flavourless. I am not sure if rose water and maple syrup are good combination but I would love to know. My suggestion to you is that if you do have some experience in confectionary making then use it otherwise I don’t recommend it. Note; this is not an easy recipe! Ok, I went searching for this recipe today. Now, we have a real problem b/c you make it look so easy! Thank you so much! We share our personal stories through food and try to mainstream our recipe as much as possible. We appreciate you have taken time to write a comment here for us! Best of luck with your weblog. We lived in Isfahan during the 70s when the Shahenshah was in power. Gaz was one of our favorite treats and I miss it very much so was very happy to see this recipe. I am always thrilled when someone returns from Iran and brings me a box of gaz...now I can make my own...enshallah. Please tell me if what we were told is correct about the way gaz was made long ago in Iran. We were told that the people gathered certain insect secretions off plants and those secretions were the secret to it.